More than 100 years after the auto assembly line was first introduced, Macomb County remains at the forefront of the U.S. auto industry. The transformational growth of this industry is opening up economic opportunities across Macomb County. Ten automotive OEM facilities occupy 25 million square feet and employ more than 35,000 workers here. Since 2010, automotive companies have invested more than $7.4 billion in Macomb County including substantial investments by Fiat Chrysler Automobiles, Ford Motor Company and General Motors. Macomb County’s automotive supply chain network is comprised of more than 400 companies that specialize in all stages of product life cycle with significant expertise in research and development, tool and die, and automated systems. Success in business is dependent on access to a wide and deep pool of talent and experience. Aside from more than 75,000 in the skilled trades, our region employs more than 87,000 engineers and 70,000 R&D professionals. Each year, more than 12,000 engineers graduate from Michigan universities and colleges with degrees in a wide range of disciplines. 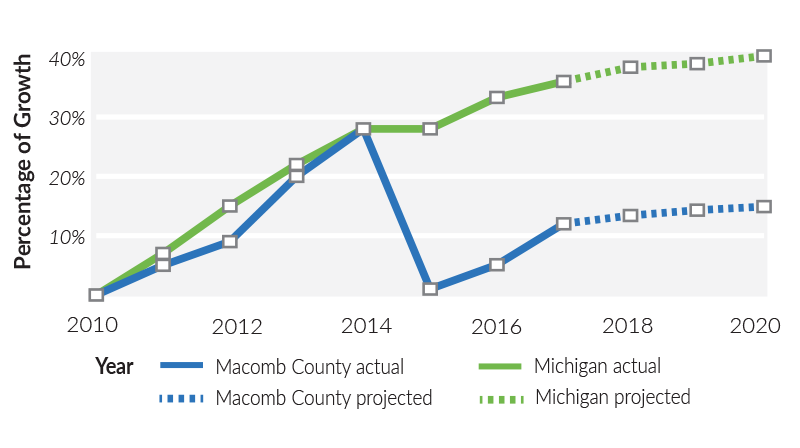 Macomb County is better equipped than any other county in the nation to implement next generation mobility through connected and autonomous vehicle capabilities. The infrastructure and workforce needed to support the emerging demands of this industry exist here. National labs and research facilities creating this synergy include the Ford Romeo Proving Grounds, General Motors Global Technical Center, National Automotive Center (NAC) and U.S. Army Combat Capability Development Center (CCDC) Ground Vehicle Systems Center (USACCDCGVSC). For generations, Macomb County's skilled and talented workforce has been a driving force in the prosperity of the mobility industry.  As employment trends have highlighted an aging workforce, Macomb County has developed a number of inventive and impactful workforce development initiatives which are helping inject new talent into the auto industry. Cosworth, a British high-performance engine partner with General Motors, opened its North American headquarters in Shelby Township in June 2018. The new 60,000-square-foot facility is helping the company expand into intelligent mobility and autonomous vehicle components. It has also allowed Cosworth to have a second Advanced Manufacturing Center with contracts out to 2026, including battery sensor technology. The investment totaled $30 million, created 50 new jobs and was supported by a business development grant from the Michigan Strategic Fund. Grupo Antolin, a Spanish manufacturing firm is one of the leading manufacturers of automotive interiors worldwide and number one in the world for roof function. In 1989, Grupo embarked on a strategy of internationalization opening factories in the United Kingdom, France, Germany and the USA. In 2016, the company selected Shelby Township for its new North American headquarters and for its interior work for the new Dodge Ram Truck. The new facility, opened in November 2017, comprised an investment of $64 million to build a 365,000-square-foot plant which employs over 700 people. Macomb County Planning & Economic Development provided assistance from site selection to applications for state and local incentives. Through the efforts of the county and the state, Antolin Shelby received the Michigan Strategic Fund Grant of $5,364,000 for the project, was approved for up to $365,279 in training and hiring services plus a tax abatement for 12 years, worth approximately $4,390,167. The total incentive package totals $10,119,446. The seventh largest automaker in the world, designs, engineers, manufactures and sells passenger cars, light commercial vehicles and components. Company facilities include Warren Truck, Sterling Stamping and Warren Stamping and the Sterling Heights Assembly Plant (SHAP), which was built in 1953 as a jet engine plant. In 1980, it was converted into an automobile plant and purchased by Chrysler Corporation in 1983. Recent investments include nearly $850 million in a state-of-the-art, 425,000-square-foot paint shop and $165 million to add a 1-million-square-foot body shop. In 2016, $1.4 billion was invested to create 1,226 new jobs. This investment was supported with over $30 million of incentives, including $8 million from Michigan Strategic Funds, Macomb County Roads ($500,000), local tax abatements, as well as other workforce and talent agencies.